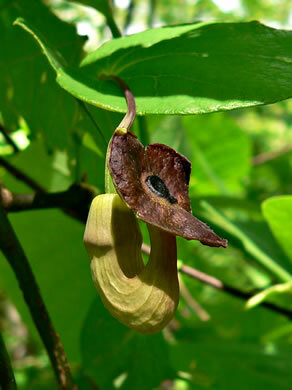 Read a taxonomic advisory regarding Isotrema from Alan Weakley and the Southern Appalachian Botanical Society. 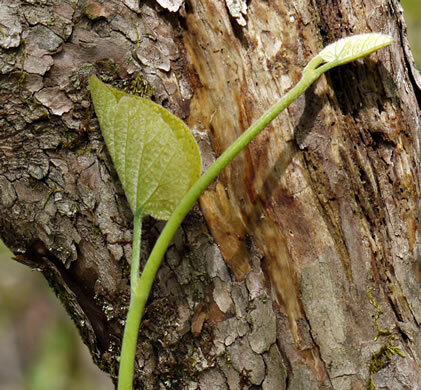 Caterpillars of the pipevine swallowtail butterfly feed only on this family, per Wildflowers & Plant Communities of the Southern Appalachian Mountains and Piedmont. 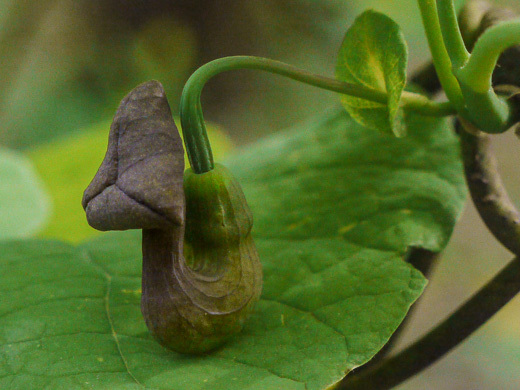 Pipe "face" is about 1" wide with 3 equal lobes and a purple-brown mouth, per Wildflowers of Tennessee, the Ohio Valley, and the Southern Appalachians. 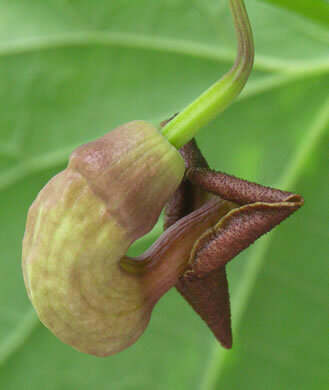 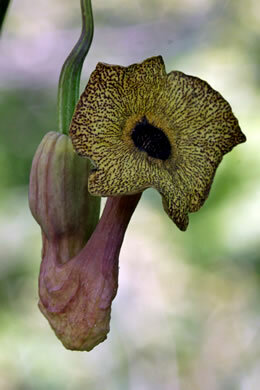 Flower is a fleshy tubular S-curved calyx terminating in 3 spreading lobes, per Wildflowers of the Southern Mountains. 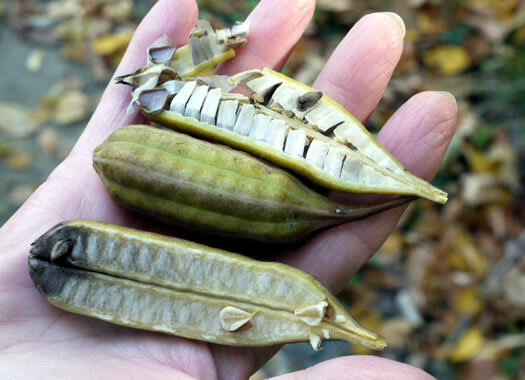 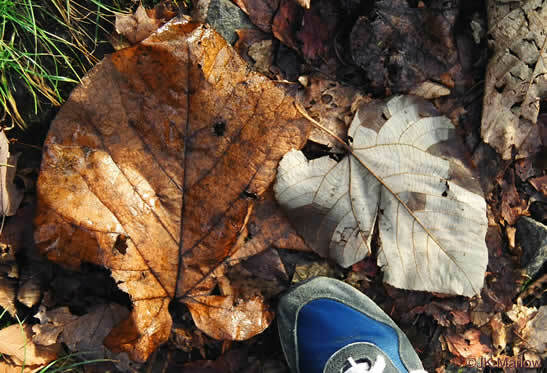 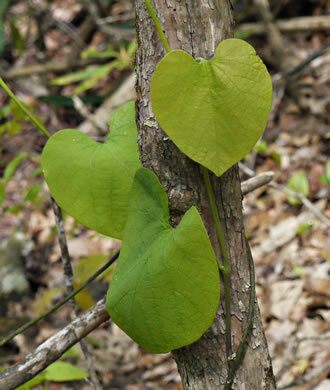 Leaves are heart-shaped, 4-10" wide, smooth to slightly hairy beneath, per Wildflowers of Tennessee, the Ohio Valley, and the Southern Appalachians. 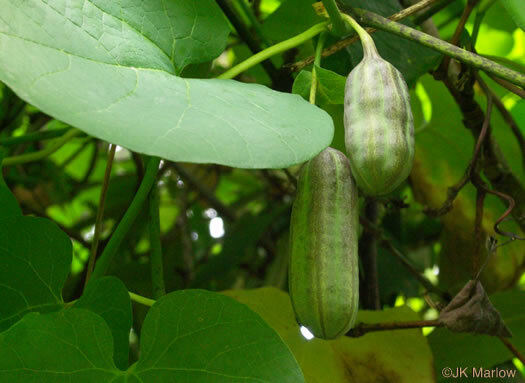 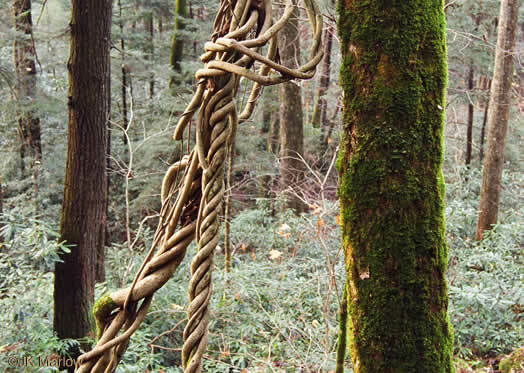 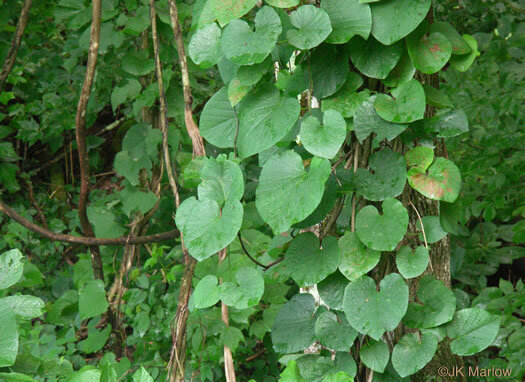 High-climbing, twining vine most common in rich coves and moist slopes, per Woody Plants of the Blue Ridge. 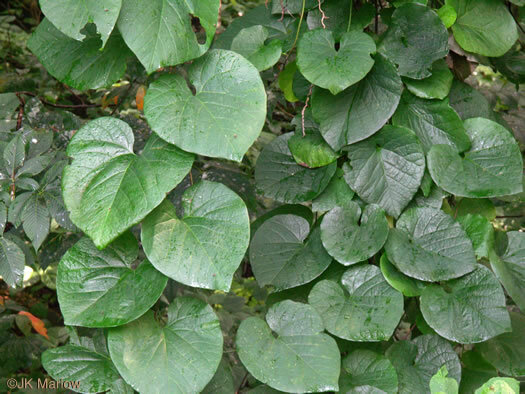 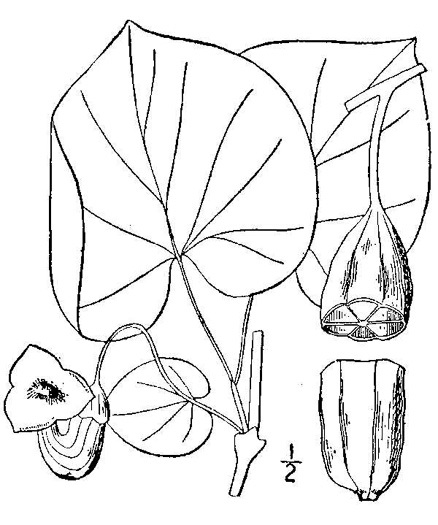 The species name "macrophylla" means "large leaf", per Wildflowers of Tennessee, the Ohio Valley, and the Southern Appalachians.